Scotland’s woodlands are treated and sprayed every year with hundreds of kilograms of a toxic pesticide blamed for killing bees and butterflies, The Ferret reveals. Their investigation has uncovered widespread use of the nicotine-based insecticide, acetamiprid, by the forestry industry, provoking concerns from experts and alarm from environmentalists who fear “creeping degradation” of nature. Moves have already been made to curb the pesticide’s use on the island of Mull, and Scottish ministers are facing growing demands from wildlife campaigners for a country-wide ban – backed by veteran SNP minister, Michael Russell MSP. The forestry industry, however, is vehemently opposed to a ban, arguing that acetamiprid is vital for killing pine weevils to protect Scotland’s £1 billion wood business. The industry is backed by another SNP veteran, the rural economy minister, Fergus Ewing MSP. Acetamiprid is one of a group of manufactured neonicotinoid chemicals lethal to insects. A ban on all outdoor use of three neonicotinoids was agreed by the European Union in April due to evidence showing they could endanger bees and other pollinators – but this did not include acetamiprid, which can still be legally used. Acetamiprid has been brought into “wide scale use” by the forestry industry in the last two years to replace another toxic pesticide thought to endanger wildlife, cypermethrin. It is now regularly used across Scotland to kill the weevils that infest, eat and destroy trees. Forestry Commission Scotland told The Ferret that 196 kilograms of acetamiprid, branded Gazelle, were sprayed on 711 hectares of public woodland in 2017-18. The spraying covered four forestry districts: Scottish Lowlands, North Highland, Tay, and Cowal & Trossachs. As well as being sprayed after planting, trees are also treated with acetamiprid before they are planted. The private forestry industry was unable to say exactly how much of the chemical it used, but evidence suggests it’s likely to amount to several hundreds of kilograms a year. One of the UK’s leading pesticide experts, professor Dave Goulson from the University of Sussex, argued that acetamiprid tended to be applied at higher rates than the banned neonicotinoids because it was regarded as less toxic. In the presence of commonly used fungicides, it would also become as toxic as its banned relations, he suggested. “There are huge knowledge gaps with regard to the safety of acetamiprid, but plenty of reasons to be concerned if it is being widely applied to forests,” he said. Dr Chris Connolly, an independent expert on neonicotinoid impacts on bees previously at the University of Dundee, warned that acetamiprid mustn’t be allowed to persist in the soil. Chronic exposure would be toxic for insects, he said. Islanders on Mull concerned about the risks have been pushing for curbs on forestry pesticides. 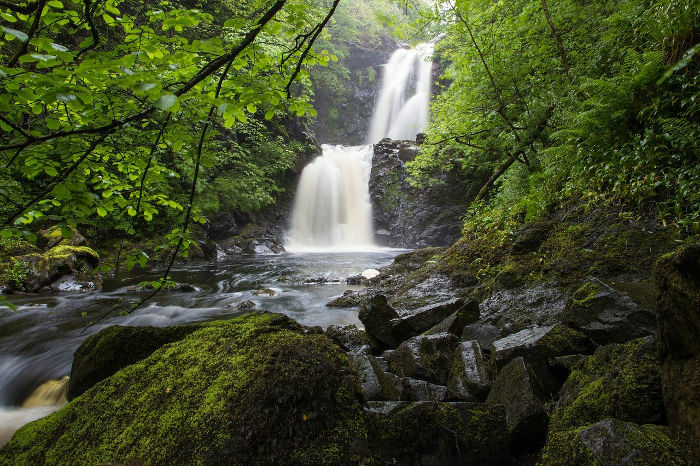 Helped by the Argyll and Bute MSP, Michael Russell, they have won promises to consult local people before pesticides are used from public and community forests – but not from private forestry firms. Read the full article Alarm over toxic pesticide sprayed on Scotland’s woodlands at The Ferret.